No news is generally good news for a football program during the spring. Unfortunately for Tennessee, one of their players made some headlines on Thursday for the wrong reasons. According to a report from Blake Toppmeyer of the Knoxville News Sentinel, Tennessee defensive back Kenneth George Jr. was arrested early Thursday morning and was booked into the Turner Guilford Knight Correctional Center in Miami, Florida. The redshirt junior defensive back is facing charges of battery of a police officer, resisting an officer with violence, resisting an officer without violence, and disorderly conduct. Right now, the University of Tennessee is on spring break, and the football team isn’t holding spring practices during the week. Many players have returned home for the week or are on vacation. George is originally from Lafayette, Louisiana and joined the Vols as a late addition to their 2018 signing class. The 5-foot-11, 198-pound defensive back played for Trinity Valley Community College in Texas for two years before joining Tennessee. Head coach Jeremy Pruitt has not commented on the situation as of yet, but Tennessee has released an official statement. 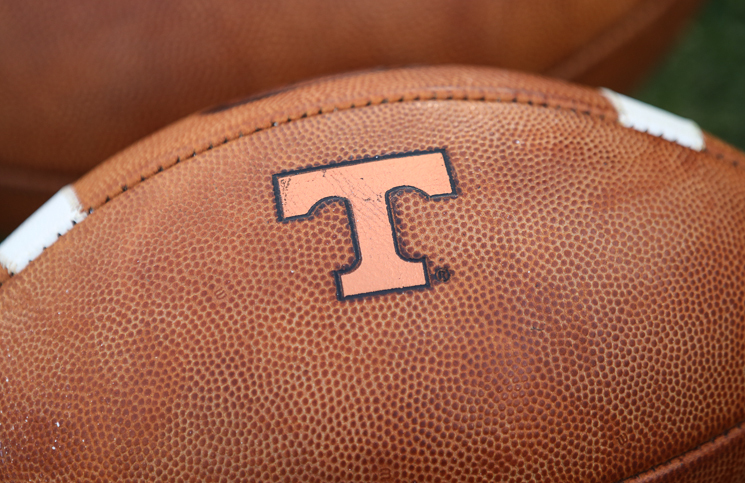 “We are aware of the situation and are gathering facts as the appropriate processes run their course,” Tennessee football Sports Information Director Zach Stipe said in a statement to the KNS. George appeared in just a handful of games for the Vols last season and failed to record a stat in any of his appearances. He dealt with an injury that kept him from contributing more on the field in his first year with the Vols. We will update as more information become available. UPDATE: According to local Florida news station WPLG 10, there has been more information revealed about George’s arrest. According to the police report obtained by WPLG, police claim George was cursing at one of the officers and ignoring his commands, which led to the initial incident. The officer attempted to get George out of the middle of the street he was in, and George punched him and knocked the police radio out of the officer’s hands. George then ran away from the scene. Other officers caught up with George and apprehended him near Espanola Way and Washington Avenue. The report also claims that George said “He (the officer) hit me first. Why can’t I hit him back?” once he was in custody. There still has been no official word from UT other than the statement from UT SID Zach Stipe.